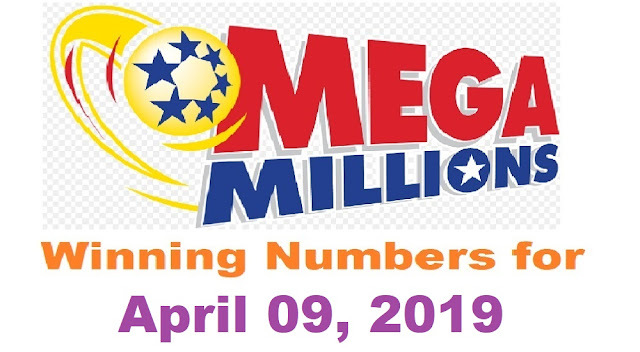 Mega Millions Winning Numbers for Tuesday, April 09, 2019 for the jackpot worth $120 Millions with the cash option of $73.4 Millions has been announced. Checkout the winning numbers below. When you match the Megaball number with five other numbers you will win the Mega Millions Jackpot prize. 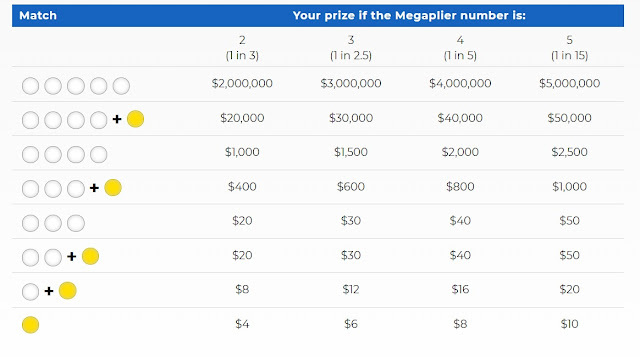 Remaining 8 prize tiers of Mega Million Jackpot are shown below the winning numbers. Nine various combination of the winning numbers make you the winner on the Mega Millions Those combinations and their winning amount are shown in following table. Overall your chances of winning Mega Millions lotto is 1 out of 24. All of the winning chances are calculated based on $2 play. In most of the states you can play the Mega Millions lotto with Megaplier by paying additional $1, which increase your non jackpot prize by 2, 3, 4 or 5 times. Before each Mega Millions drawing on Tuesday and Friday nights, the Megaplier is drawn. From a pool of 15 balls, five are marked with 2X, six with 3X, three with 4X and one with 5X. Folliowing image shows you the odds of megaplier and their non jackpot prize value. We are just republishing the Winning numbers after official announcement. Please check at least once from official site for particular states before claiming any of the winning amount.